‘Living’ décor in our homes is an interior design trend that has exploded recently thanks to increased awareness of the well-being benefits of plants, their air purifying qualities and ability to add instant glamour and colour to any room. Choosing the right plants to place around your home can be a challenge as each species has evolved from a specific climate. 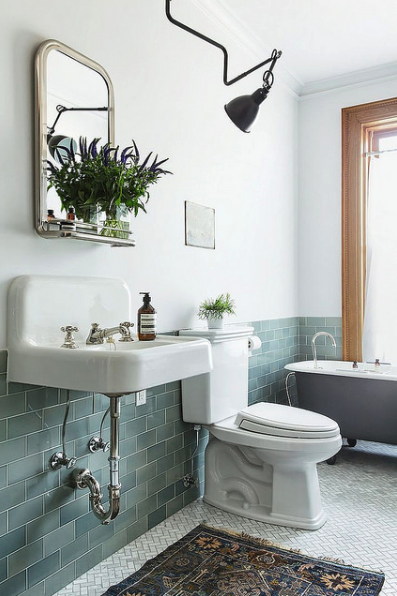 When it comes to your bathroom, you may not have considered what varieties of plants might work well, as it is a space that can be very humid and warm. 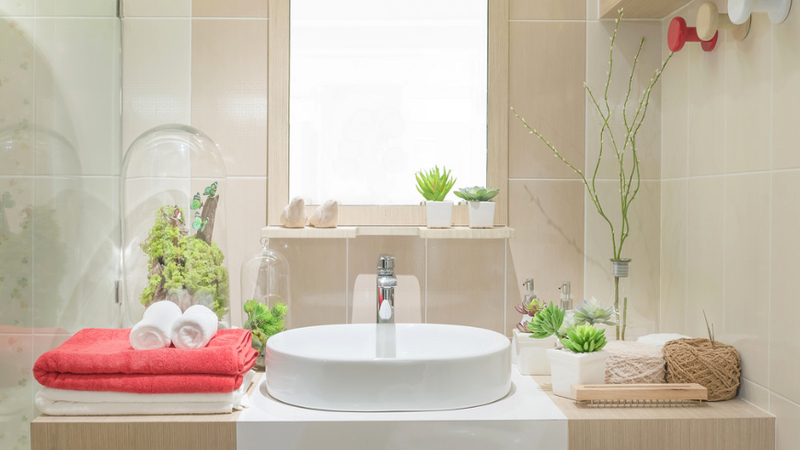 Adding luscious foliage and plants to a bathroom can create a chic spa-like atmosphere, helping to relax and promote tranquillity. Whether it’s a bright, sunny or dim space, Voucherbox has picked the best low-maintenance stylish and bathroom-hardy plants to create a soothing environment all day long. Plus, readers can enjoy savings on other bathroom essentials from Debenhams this June with Voucherbox. You might be more used to seeing these little purple-tipped spears bobbing about in patio pots; however, given the right indoor environment, this increasingly on-trend variety can thrive and be a lively addition to any bathroom. 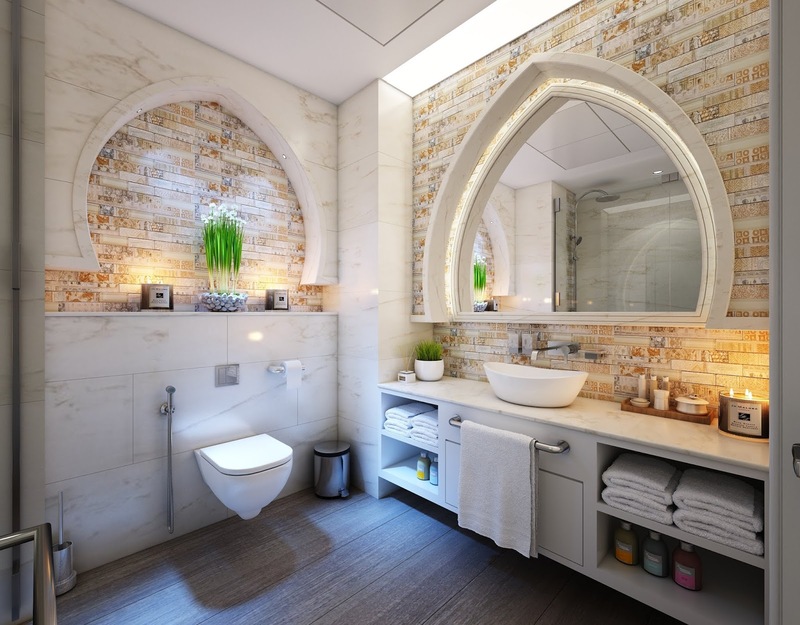 A bright and sunny bathroom is essential though, as they won’t tolerate shade. Also known as Rhipsalis, few people realise this exotic spidery-like plant is actually from the cacti family. 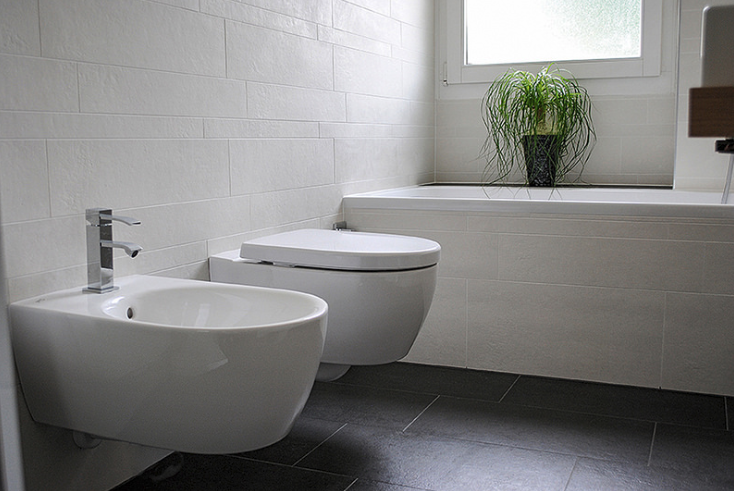 This particular variety of cactus is a great choice for bathrooms as it is spineless and likes dim conditions. Mistletoe cactus also loves humid conditions and will benefit from being in moist surroundings. Due to its trailing hair-like stems, it also looks fantastic in a hanging basket. Why not suspend from the shower rail for extra wow factor? 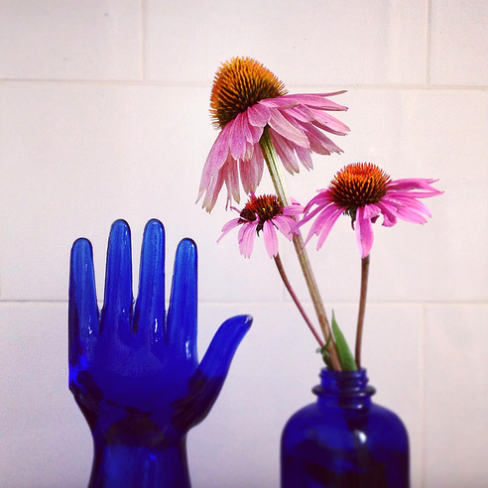 Great in a stylish vase or as a potted plant in your bathroom, Echinacea coneflowers can add a burst of unexpected colour. While not typically associated with indoors, the best thing about these pretty, pink and unruly daisies is that they are very easy to maintain. They love sunshine and regular watering, but if potted, make sure they are allowed to drain before leaving them to stand on a dish. Add a splash of jungle-fever with the climbing variety of the philodendron plant. Its versatile and luscious leaves enhance any hanging basket plant and its rootlets also allow it to climb. 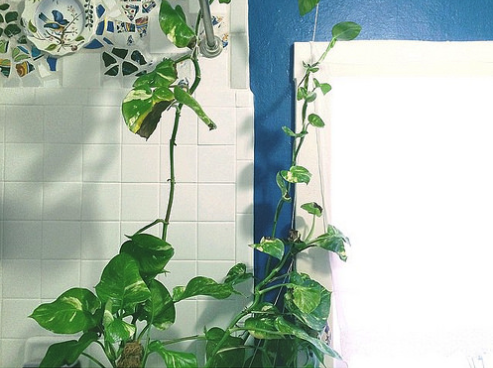 Create a creeping vine effect by growing up the side of a mirror or shower rail. This gives an opportunity to add some trailing vertical greenery to add beautiful foliage to your home. If you are looking to update your bathroom mirror or shower, take advantage of a Pebble Grey discount code this month on Voucherbox. 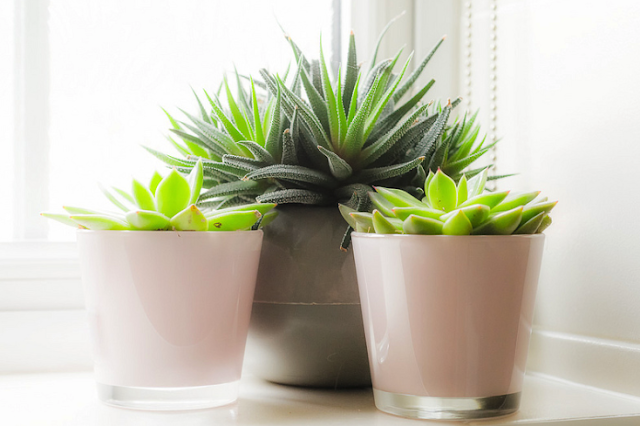 Succulents come in many varieties, from sunburn-soothing aloe vera to the delicate echeverias and sedums, adding tropical flare to bathroom surfaces. Notoriously easy to look after, aloe vera requires heavy watering roughly every three weeks (wait until the soil dries out before watering again), whereas succulents need to be watered more frequently, ideally each week. Both can survive happily in a bright and sunny bathroom, but don’t pop these little gems in direct sunlight as they will soon shrivel. Green twisted willow can be a pretty flowering alternative to bathroom favourite bamboo, adding a sculptural element, which also creates an indulgent, spa-like environment to enjoy relaxing after a long day. It can be cut fresh when purchased from florists or garden centres. The branches of the green twisted willow love water, so submerging in a vase which is filled two-thirds full will keep them looking their best. Readers can enjoy savings on bathroom essentials from Debenhams this June with Voucherbox.